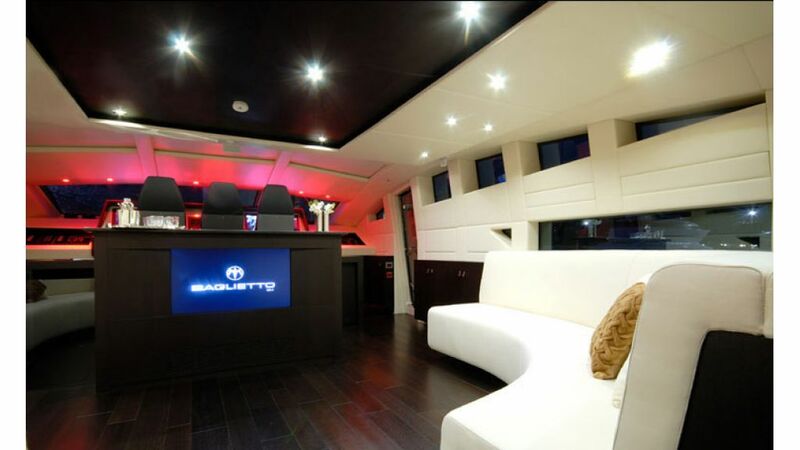 Motor Yacht Pure Insanity is a 34-meters open, hard top, planing, motor yacht built by Cantieri Navali Baglietto in Varazze shipyard. 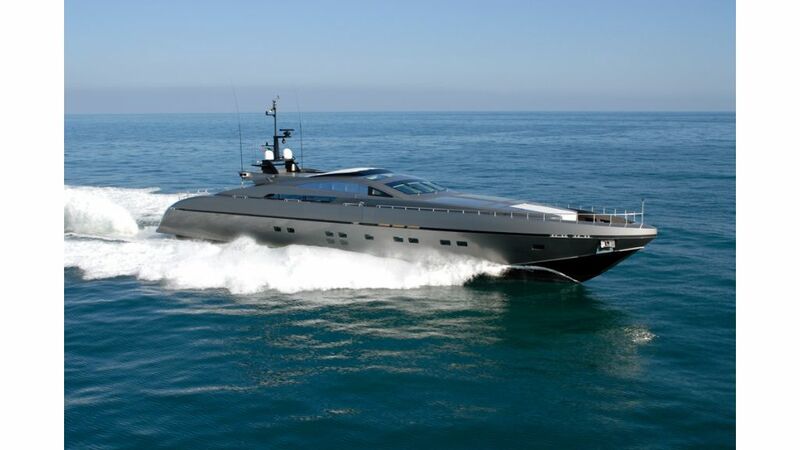 Painted in dark metallic grey, this planing coupé whose sleek lines were designed by Francesco Paszkowski, runs at the maximum speed of 33 knots and cruises at 30 knots powered by her twin 2,040 kW V12 MTU diesel engiones, a remarkable speed for a yacht of her size. 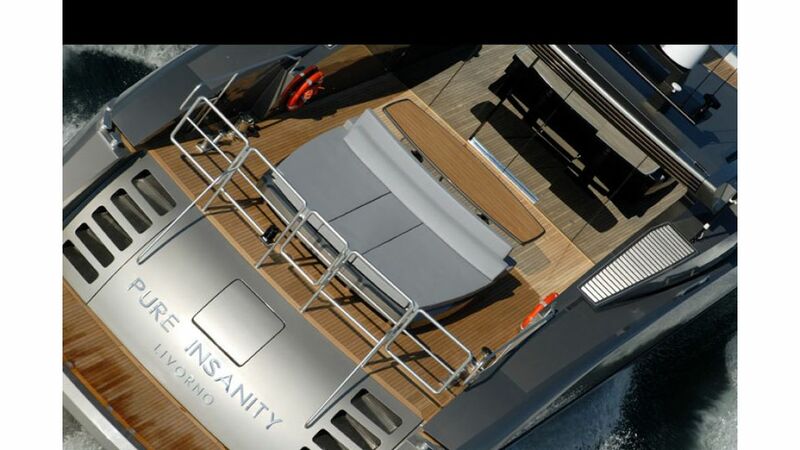 Pure Insanity’s deck spaces have been maximized by transforming the top of the deckhouse into a comfortable sundeck. 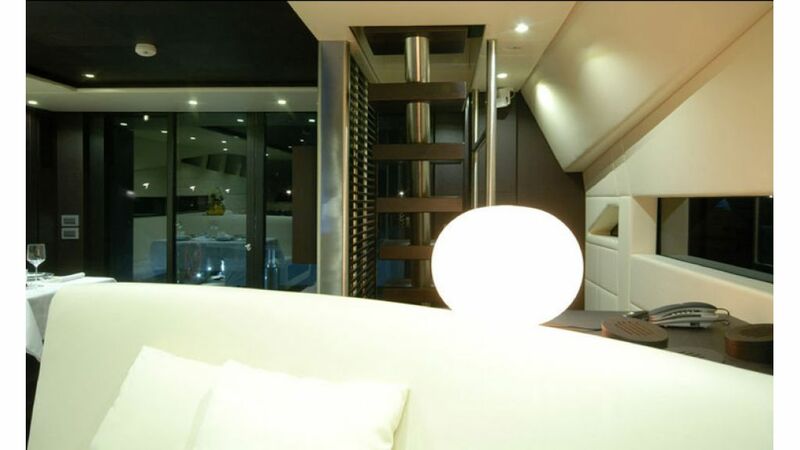 For safety reasons, this is ringed by a guard rail that, to preserve the yacht’s clean lines, can be removed when underway. 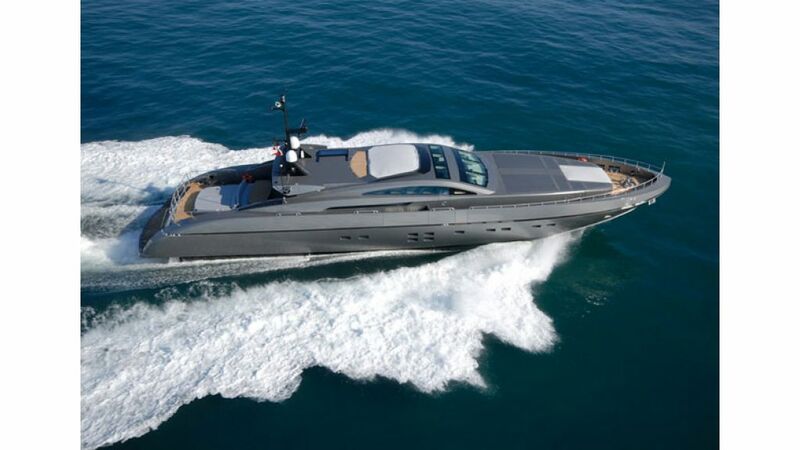 Two further sun areas, both sizeable, are found on the aft deck and bow. 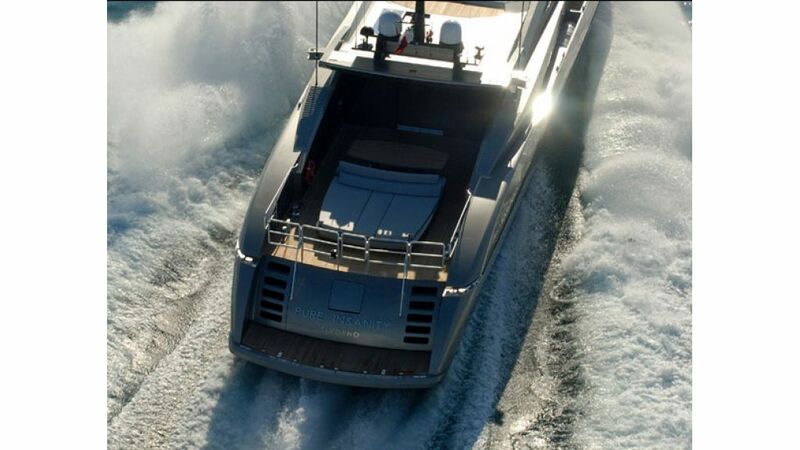 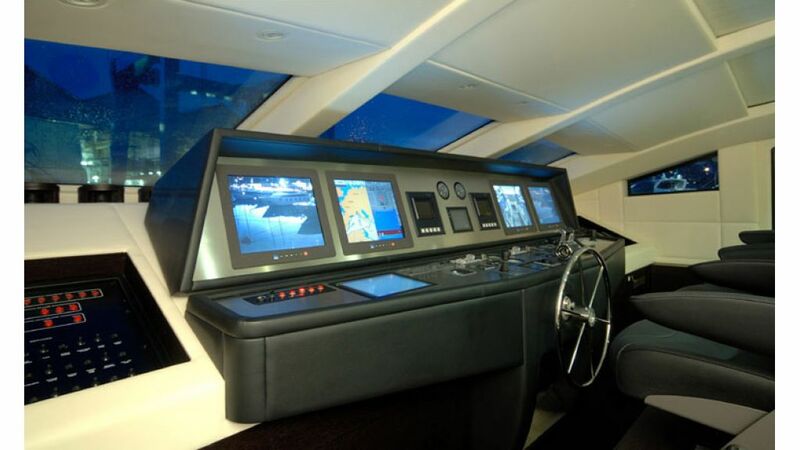 The bow also carries a very large garage, in which a 4.5m (15ft) SeaDoo main tender and a SeaDoo jet-ski are stored. 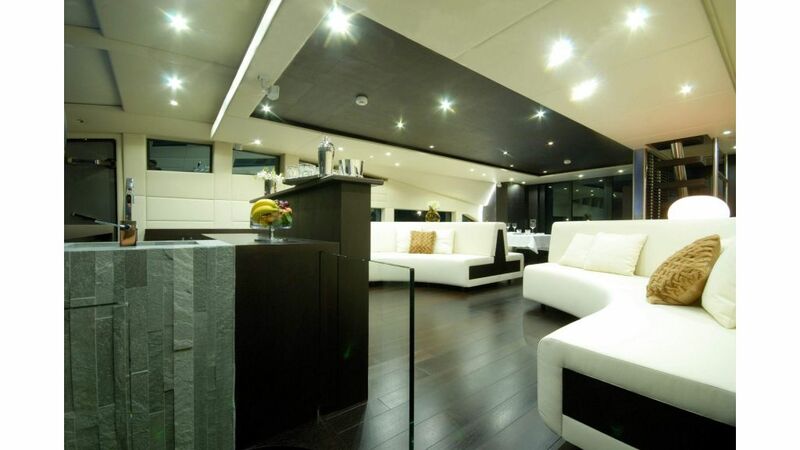 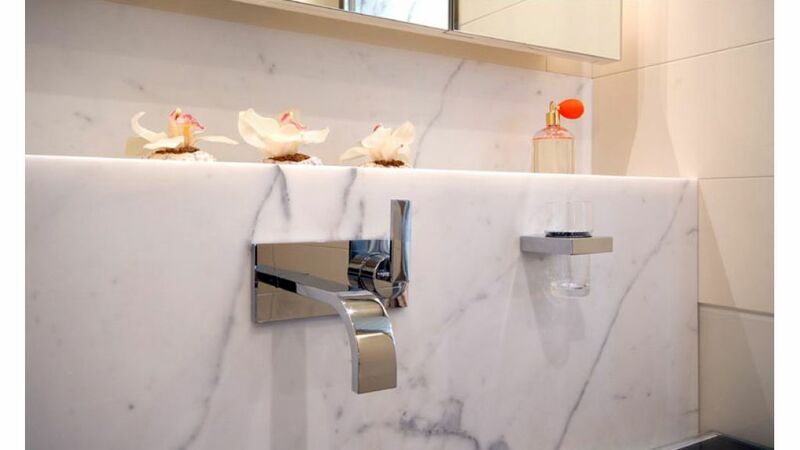 an interior with a modern and minimal-chic décor, contrasting the dark wengé of the floor, cabinetry and bulkheads with the milky white of the fabrics and the ceilings. 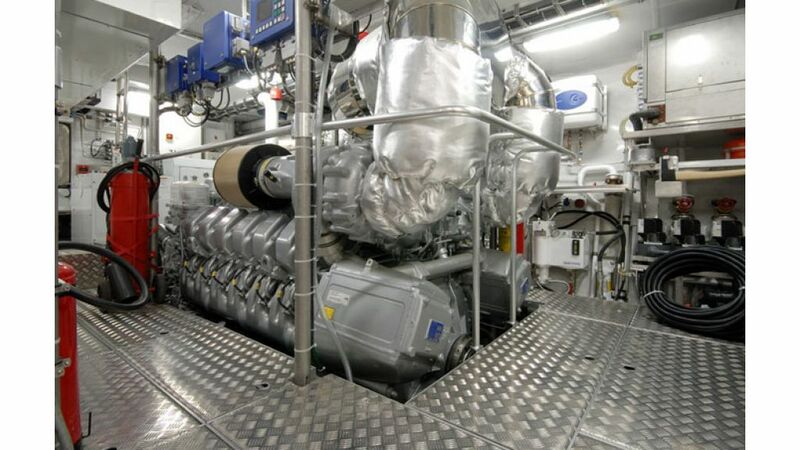 The Italian designer combined two differing requirements in that her owners use Pure Insanity as a daily cruiser while, at the same time she needed to be LY2 MCA compliant to meet her primary charter role. 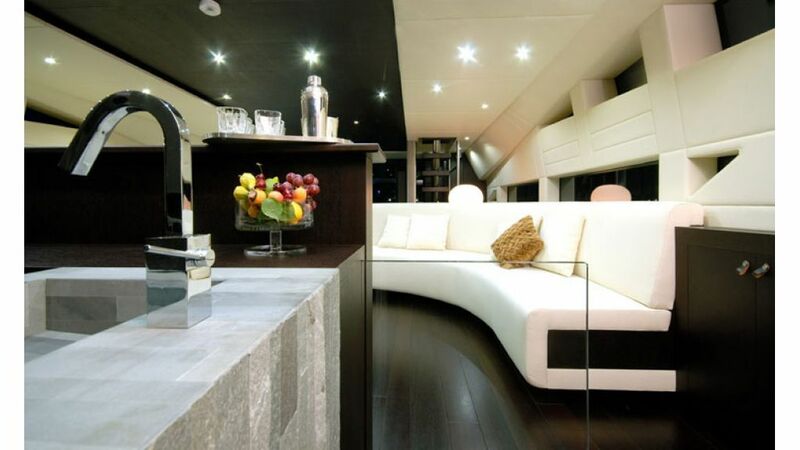 The layout of her interior, which offers a combined main saloon and dining room and four guest cabins, therefore required a high degree of flexibility. 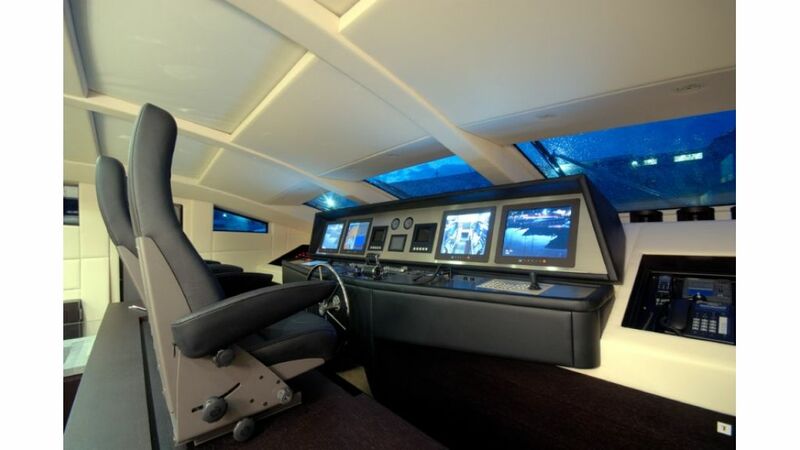 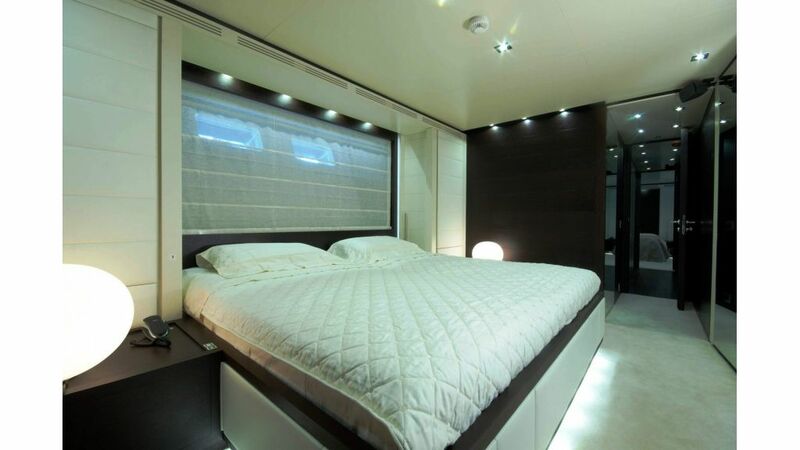 To achieve this the owner’s suite – located amidships – is only slightly larger than the VIP cabin, which also occupies the full beam. 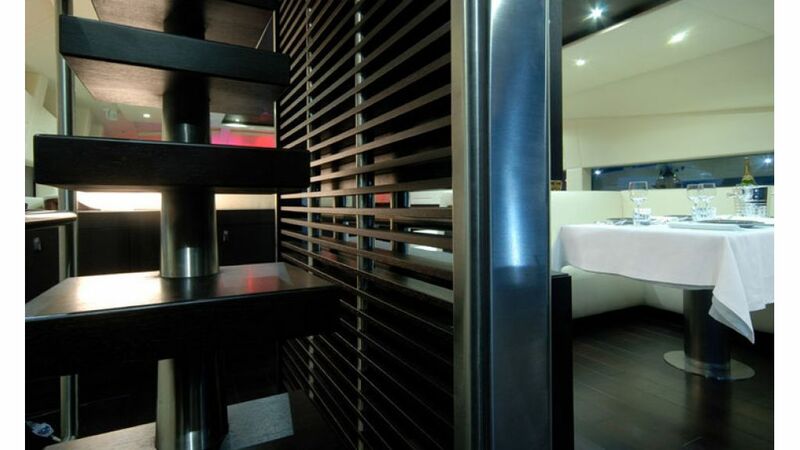 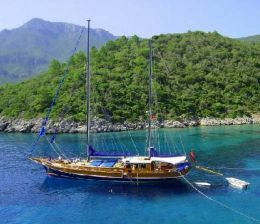 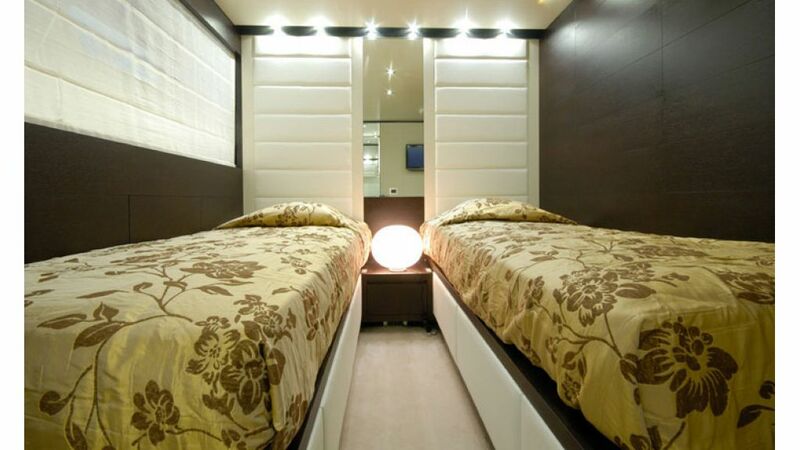 The remaining two cabins can swiftly be rearranged as either a twin or a double to suit the needs of the guests. 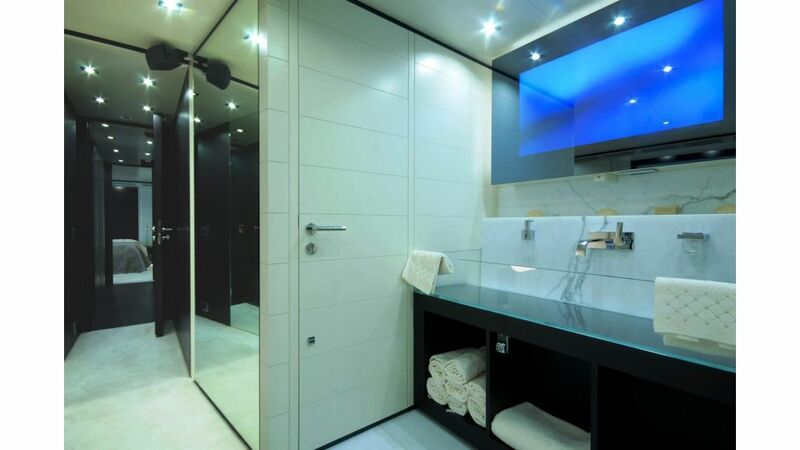 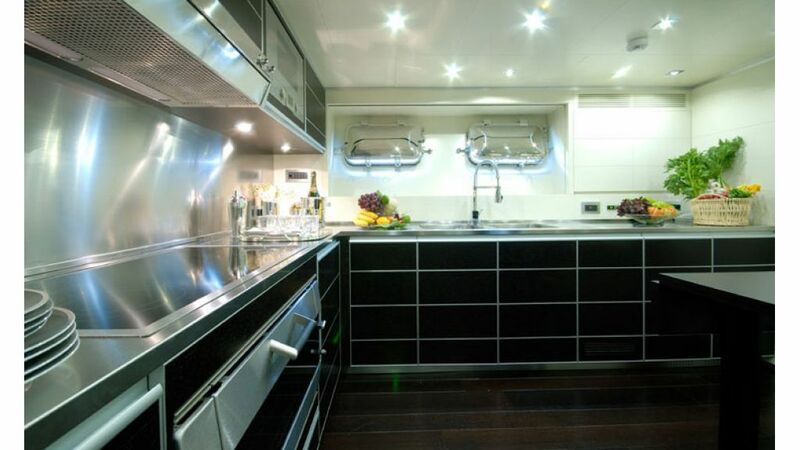 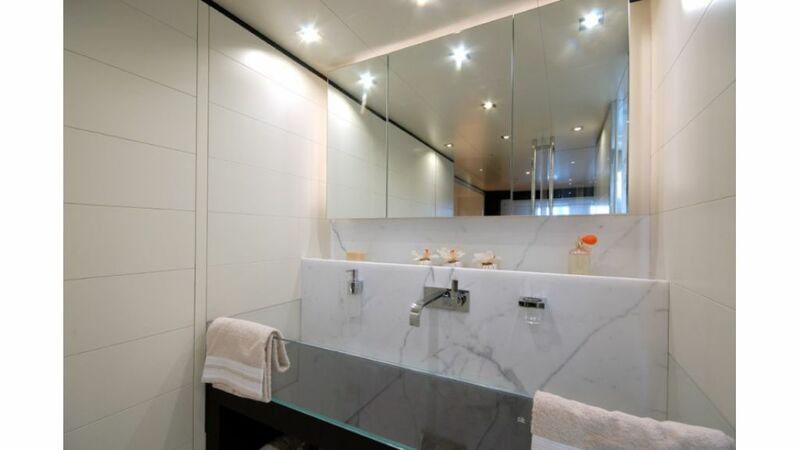 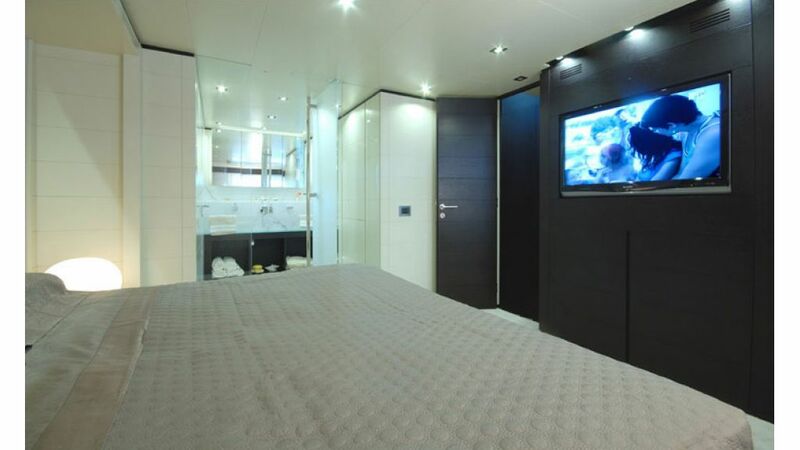 The crew quarters are located on the lower deck in the yacht’s bow, where there are two cabins, each with en suite shower rooms, while the captain’s cabin, also ensuite, is adjacent to the spacious galley and crew mess.